Life, can you just let me keep up with all the anime? You’re meddling with my ability to weeb. I can’t help but feel that Zombie Land Saga is starting to lose its luster. The past two episodes just haven’t been that funny. In fact, they kind of been pretty pedestrian with how the group comes together, recites the usual “Never Give Up!” talk, and get into CGDCT hijinks. It’s not all bad. The part where everyone in Franchouchou overdose on medicine and reap the benefits since they’re already dead was a highlight for me. But in general, I just don’t find myself laughing as much as I used to. It doesn’t help that most of the characters still feel very one note, especially Kotaro who has been relegated to just be obnoxious and loud. If this keeps up, I might actually drop the show. A bit of an odd duck this episode is. I’ve generally enjoyed Double Decker‘s comedic quirks but this time around, I didn’t really laugh a whole lot. 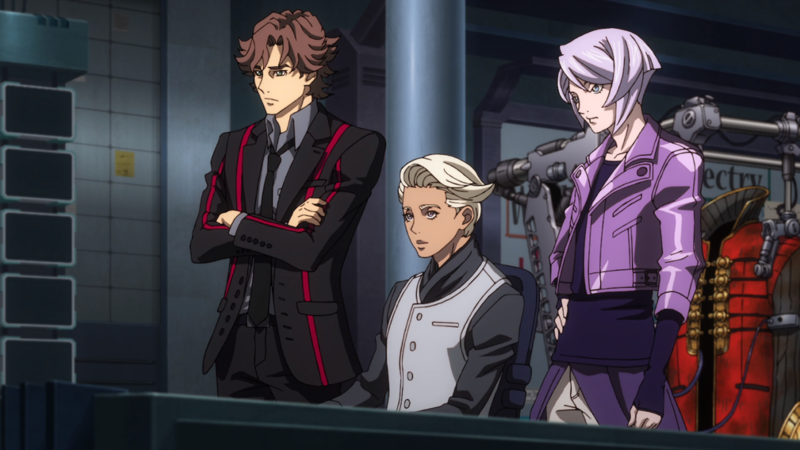 Doug and Kirill appearing on a police documentary show (I guess a “precursor” to Tiger and Bunny‘s “Hero TV”?) is very dryly played out. The part where Kirill and Doug misunderstand each other’s objectives is too predictable. I don’t know, I just don’t find it all that funny. Kirill’s sister, Milla showing up at Derrick’s bar puts a very anticlimactic end to his search for her but to be fair, that actually isn’t the real twist in the episode. I’m actually kind of stunned Double Decker went with revealing that Kirill’s sister is actually a brother named Valery. I mean, I did notice how masculine that voice was but I didn’t the show would actually go there. And what makes it stranger is how Kirill genuinely didn’t know the truth. I know he’s dense but surely he’s not that dense. Oh well, I’m curious to see the follow-up. I’m finding myself evenly split over Tsurune. Frankly, I could care less about the archery club. None of the characters over there seem that particularly interesting. Seiya particularly just came across to me as a selfish prick. Meanwhile, the dynamic between Minato and Takigawa is quite good. I really buy this student-mentor relationship with how Minato is too anxious about missing his mark and Takigawa offers some advice based on his own experience with the same issue. Even their basic chemistry is off to good start. That scene where Takigawa has his owl friend, Who, perch up on Minato’s shoulder is pretty adorable. The only thing I found odd was the fakeout with Takigawa being a ghost. Perhaps it’s to make you think that the character could very well die in this story but that’s an awfully dark route to go for an anime such as this and an even stranger death flag to execute. Even so, it did effectively confirm that Minato has grown attached to Takigawa and wants to learn archery from him. I don’t know if I’m sold on Tsurune but I am feeling a little bit more optimistic. So long as this anime leans towards the relationship between Minato and Takigawa or iron out the archery club members, it may be able to keep my attention. Zombie Land Saga is officially available on Crunchyroll. Double Decker! Doug & Kirill is officially available on Crunchyroll & Funimation. Tsurune is officially available on Crunchyroll. This entry was posted in Anime, Episode Reviews, Lightning Rounds and tagged Action, Anime, Archery, Brainssssssssssssssss, Comedy, Detectives, Double Decker! Doug & Kirill, Drama, Episode Reviews, First Impressions, Horror, Idols, KyoAni, Kyoto Animation, MAPPA, Mystery, School, Sci-Fi, Sports, Sunrise, Supernatural, Superpowers, Tsurune, Tsurune: Kazemai Koukou Kyuudou-bu, Zombie Land Saga. Bookmark the permalink. I’m still trying to decide whether to continue with Zombieland Saga or not. 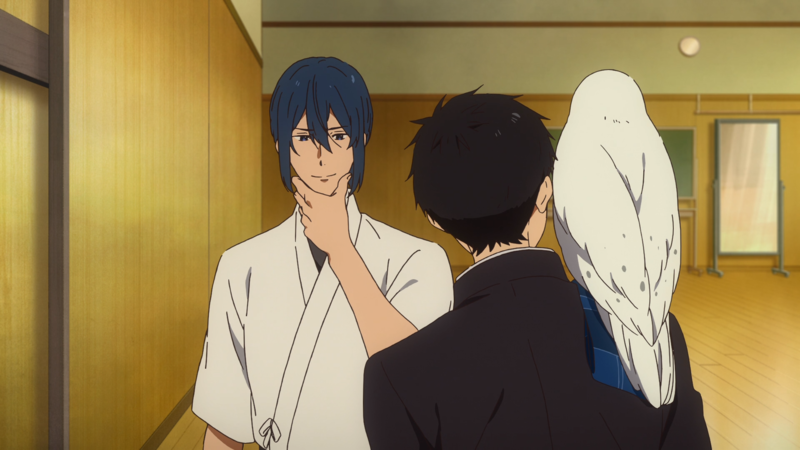 However, I am really enjoying Tsurune so far. It isn’t exceptional, but it is working well enough and I’m pretty interested in where it goes. Plus, it is really pretty. I’m seeing a couple of other people still deciding on Zombie Land Saga. Had the show stayed crazy, it would’ve been a permanent show on my watch list by now. I agree, the visuals in Tsurune are really good. Can never doubt KyoAni in that department.